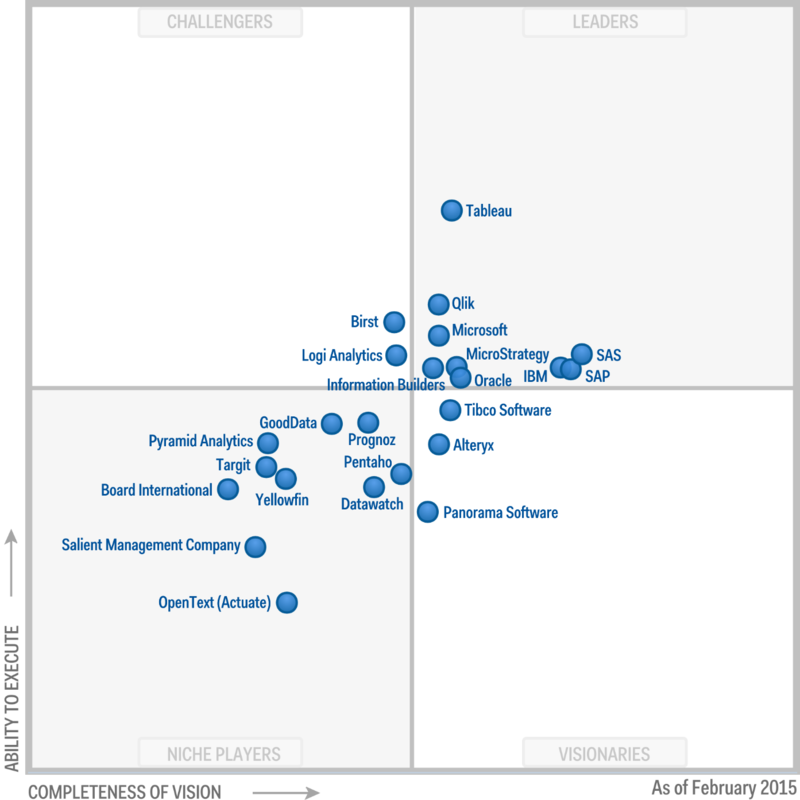 The BI and Analytics Magic Quadrant in 2016 – Power BI rules! 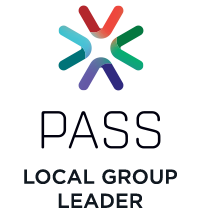 The criteria for this latest assessment is based on 5 use cases and 14 critical capabilities of a BI and analytics platform, which mostly focuses on agility and self-service. Gartner explains that the trend of BI and analytics switching from an enterprise reporting model to a self-service model has now reached a tipping point, and now for the first time Microsoft is seen as a visionary leader in this space. 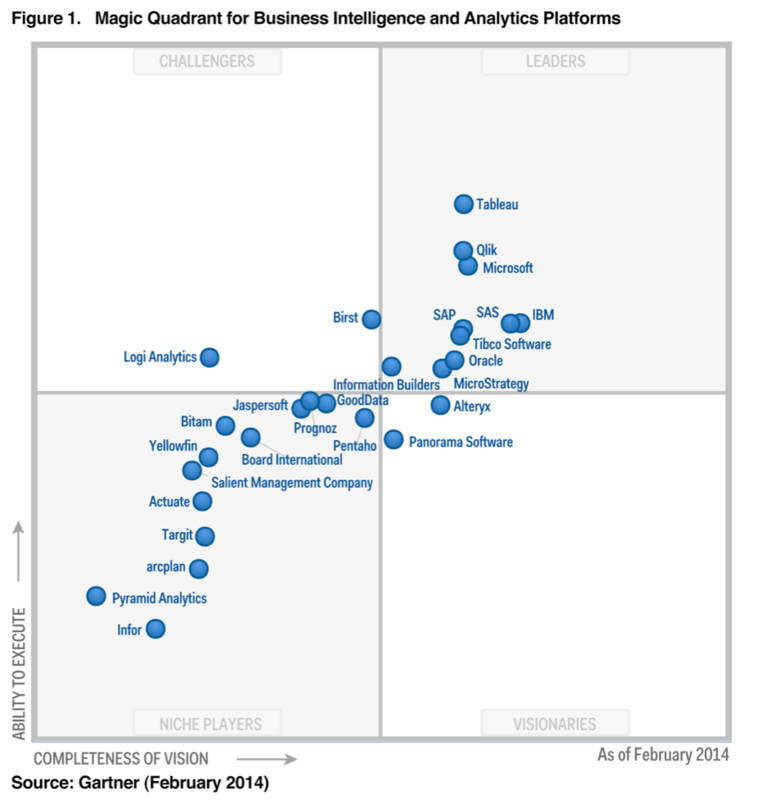 And for Gartner to base Microsoft’s assessment solely on Power BI goes to show the potential of the product. The second iteration of Power BI with it’s desktop module and the online portal, offers an intuitive and simple to use interface for users to build data discovery and visualization solutions. With support for a plethora of cloud-based and on-premise data sources, along with up-coming features such as Cortana-integration, I think Microsoft is on a good path towards what Gartner predicts how the BI and analytics landscape will look like by 2018. Polish up a few cautions indicated by Gartner such as low advanced analytics capabilities on Power BI, and they’d look even better. 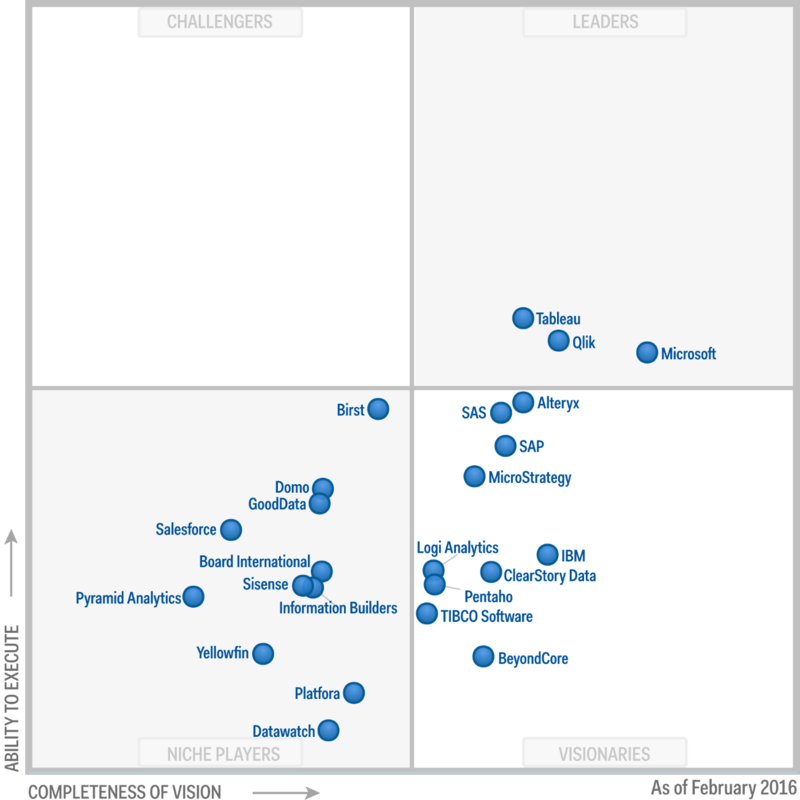 Microsoft also had been in the Leaders quadrant for the last 9 years, during the time when enterprise BI was at it’s peak. 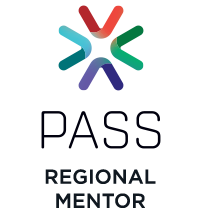 Couple that with the latest assessment and you could safely say that the collective Microsoft BI stack is a force to reckon.